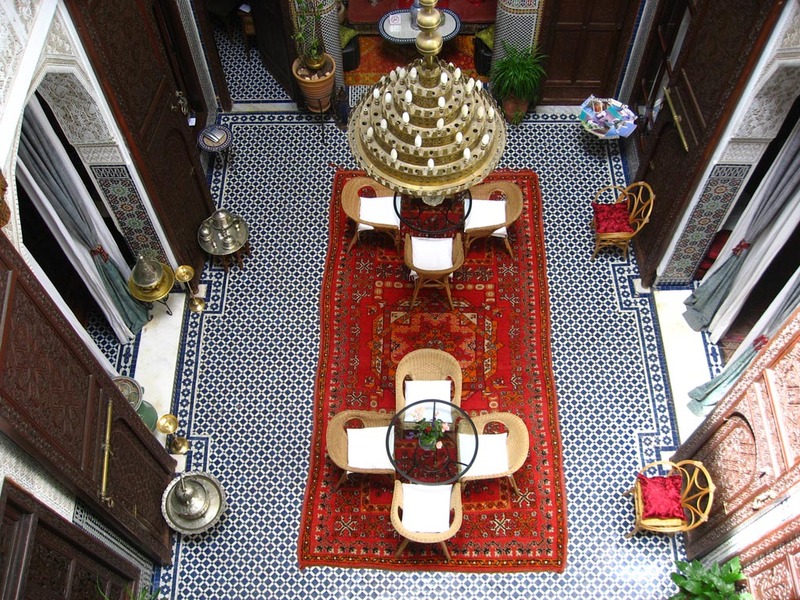 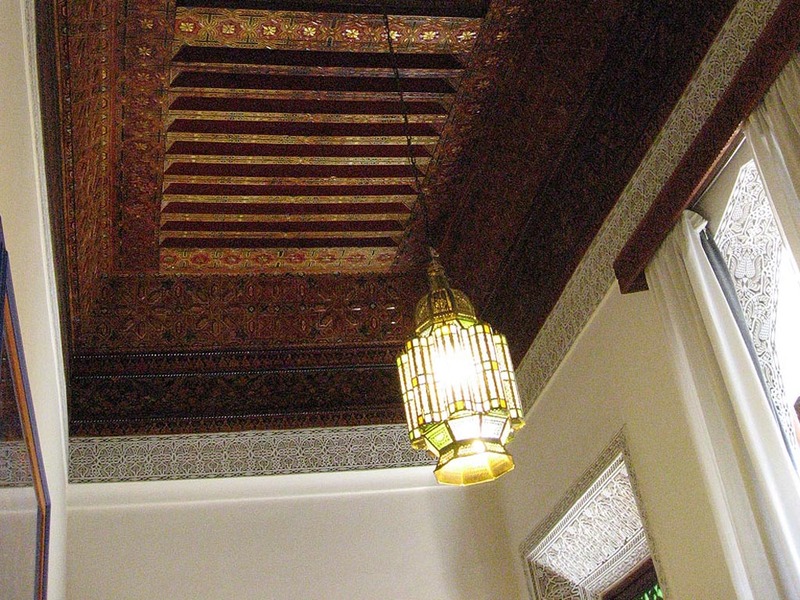 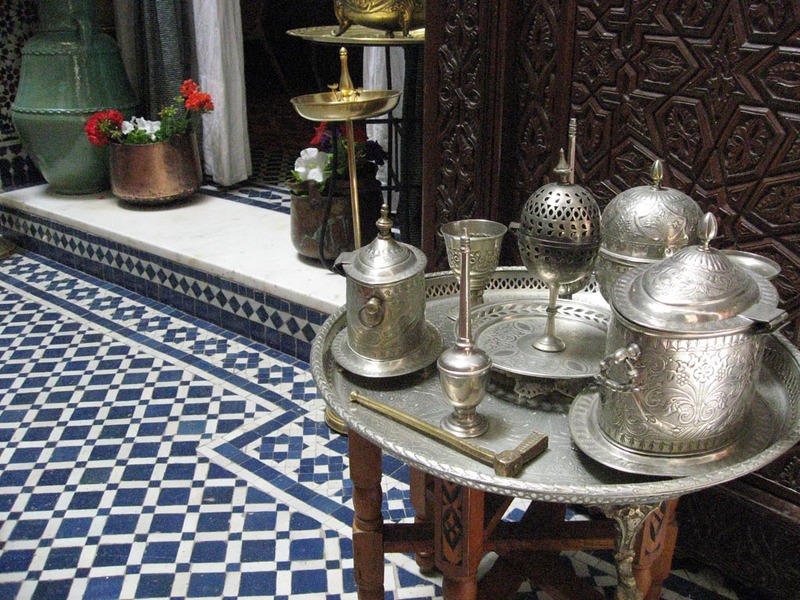 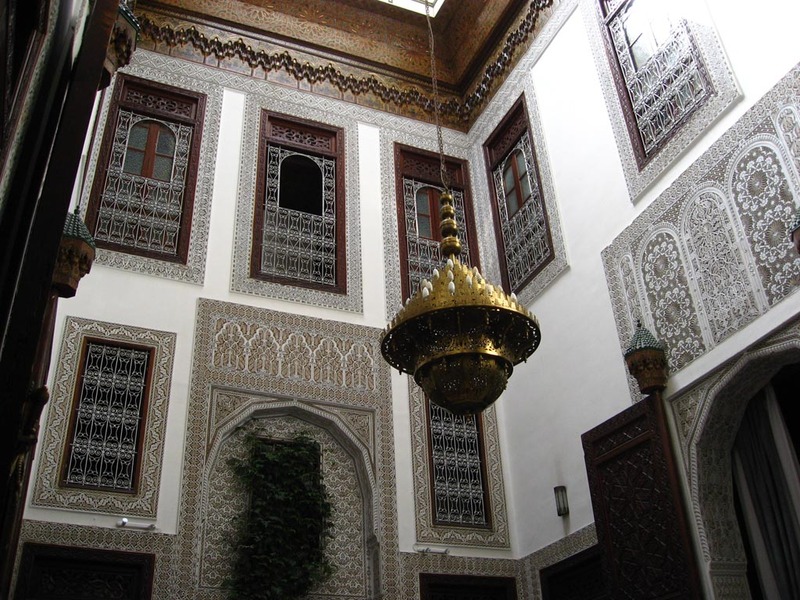 The Cordoba Suite is found on the ground floor, and measures 25 sq m. It is decorated with carved plaster, typical Fez mosaics, a cedarwood ceiling and carved window frames. 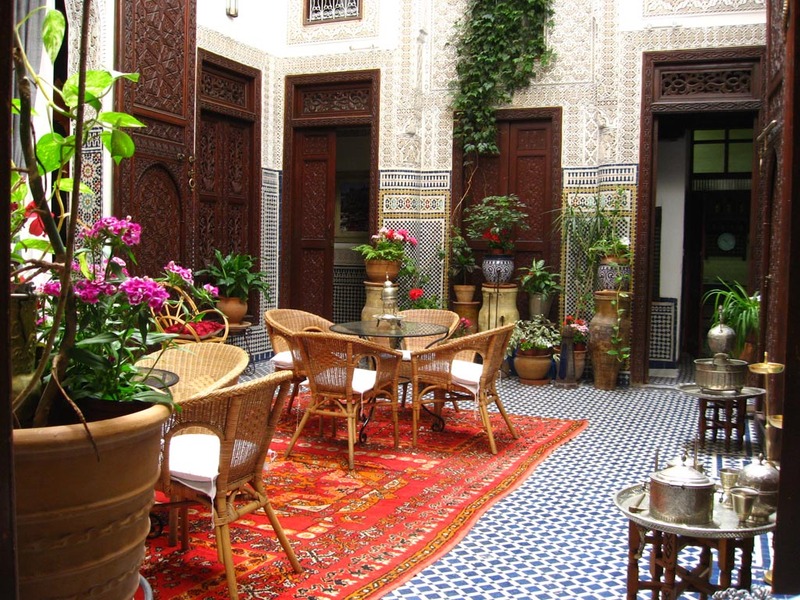 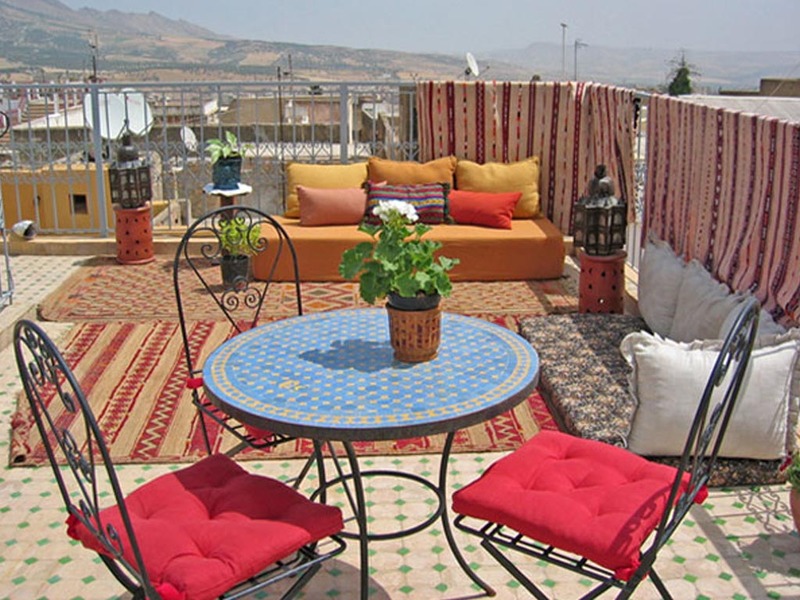 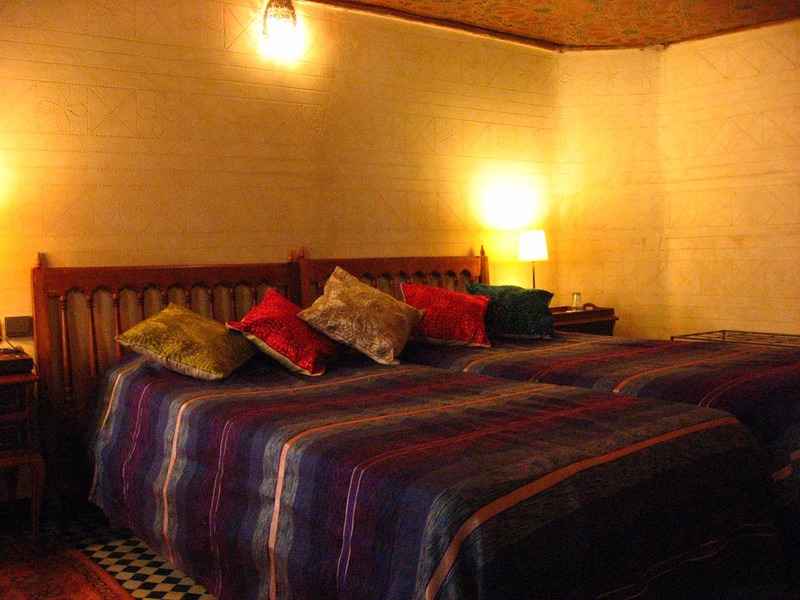 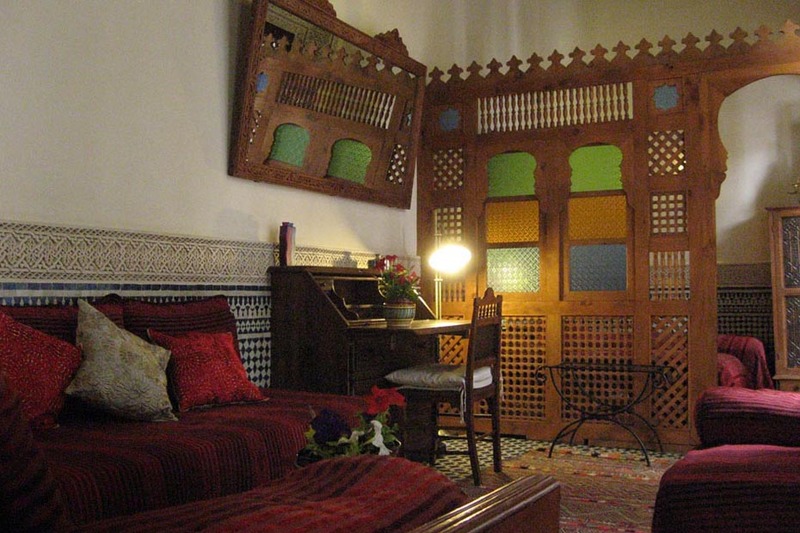 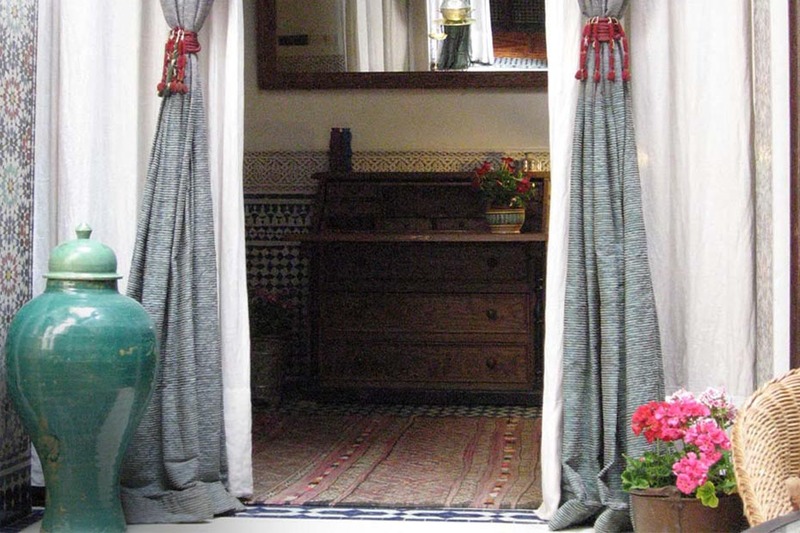 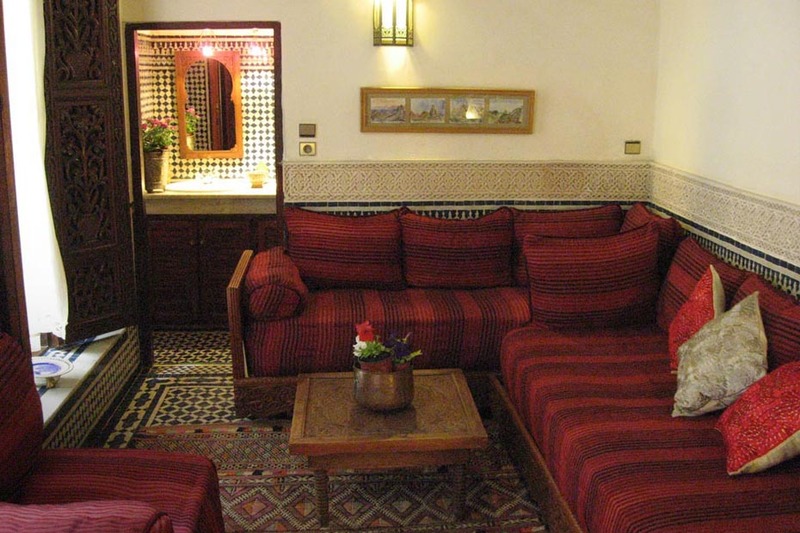 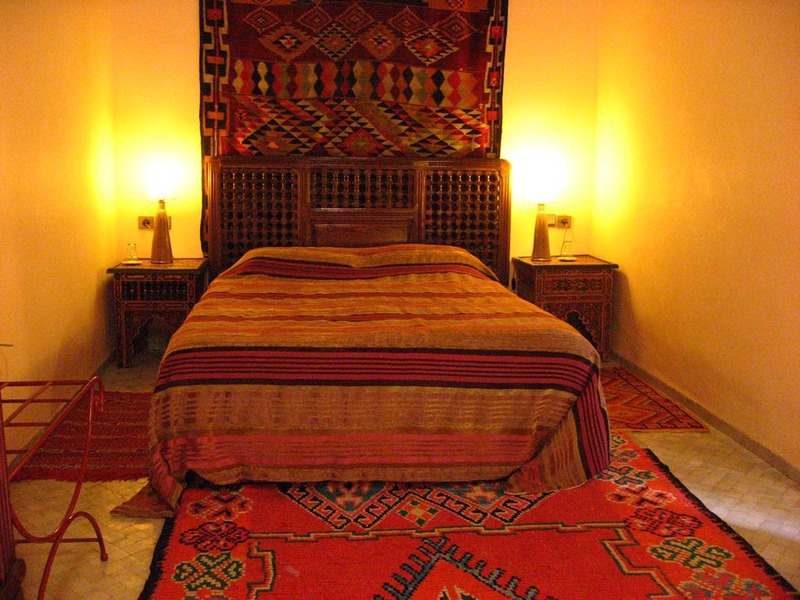 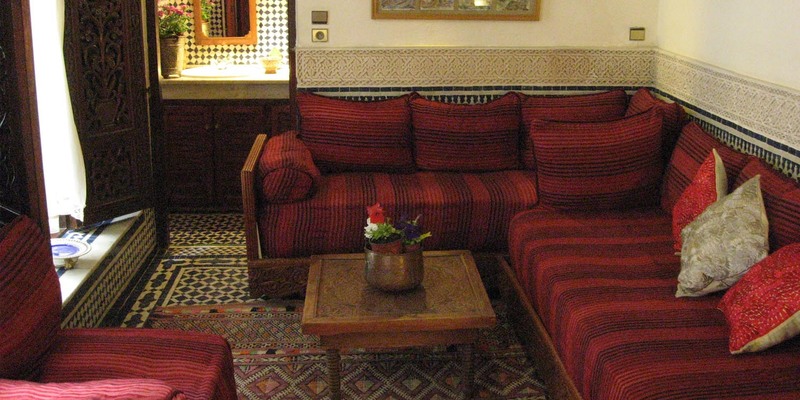 Its two single beds are separated by a lattice screen from the lounge area, which is furnished with Moroccan sofas. 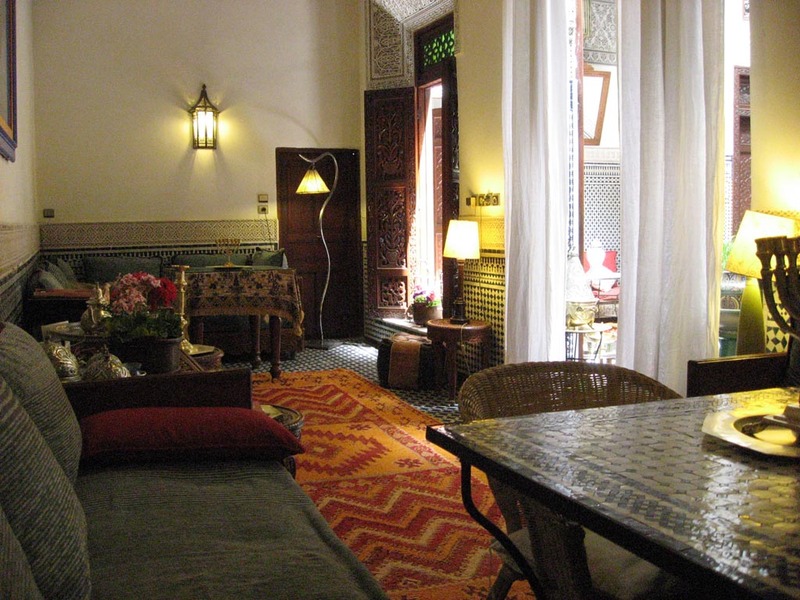 The bathroom has three areas: a shower, two washbasins, and a toilet and bidet. 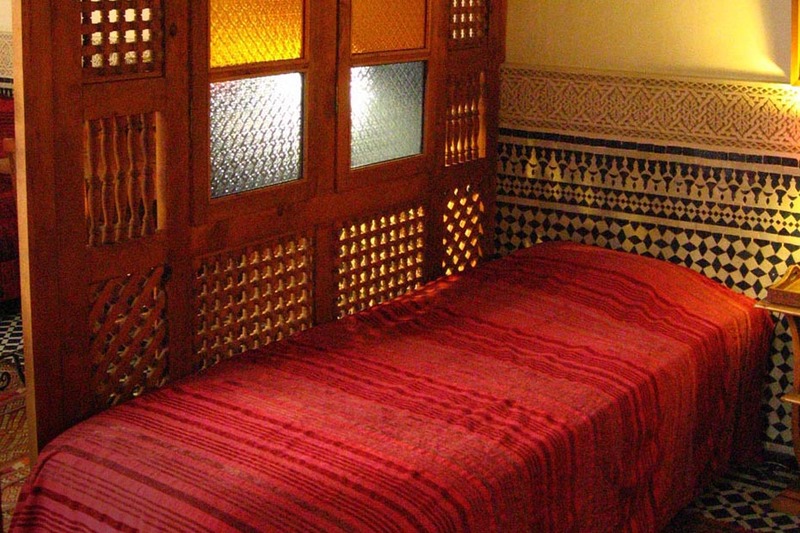 The bathroom is decorated with traditional Fez mosaics.